Commemorating the 10th Anniversary of the modern “Mardukite” New Thought movement, the Director of “Mardukite Research & Development”—Joshua Free—returns to “Mardukite TV” on YouTube for a 10th Anniversary “Reboot” series is dedicated to reintroducing the world to the NexGen work of the “Mardukite Chamberlains” and especially the primary source book of the movement, developed underground over the past decade as— NECRONOMICON: THE ANUNNAKI BIBLE —available as a 10th Anniversary Hardcover Collector’s Edition on October 30, 2018. Revised and updated complete anthology! 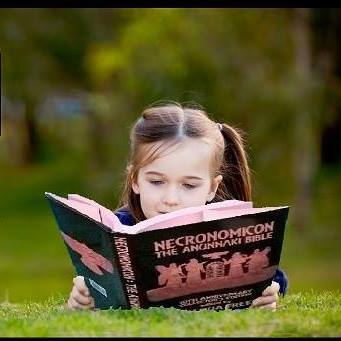 NECRONOMICON : THE ANUNNAKI BIBLE is a revolutionary contribution toward true “New Age” advancement in authentic historical, mystical and esoteric research. It draws from a unique and unparalleled modern effort combining archaeological findings with the esoteric (“mystical” and “magical”) traditions—forming the backbone of what Truth Seekers are looking for! This book specifically concerns hard to find information about the Sumerians, Babylonians, Akkadians, Assyrians, Chaldeans, Egyptians… even including the Yezidic Traditions and Zoroastrianism. Until the inception of the modern “Mardukite” movement, this information remained in the backwaters of human consciousness—even in the “New Age movement”—because they have not been as accessible as European traditions and other more popular and classical customs and revivals that are more widely accessible today—including even the Egyptians and the Hermetic Mysteries from the Classical Age. NECRONOMICON : THE ANUNNAKI BIBLE revives the heart and soul of humanity directly from the cradle of civilization as a complete cuneiform tablet collection anthology, translated and beautifully presented in its raw and undefiled state. What sets the modern “Mardukite” organization and movement apart from a lot of others—and also the subject of some controversy—is the fact that it is a balanced combination of the “esoteric” and the “academic” or archaeological. As a New Thought Movement, the modern “Mardukite” methodology is not passive—it is an active movement—balanced coherently in the logic of philosophies and science. For a decade, the organization has operated underground as a collective of NexGen “Truth Seekers” essentially seeking the well-springs of hidden information, historical records, research of cuneiform tablets—which includes “esoteric” (“spiritual” and “mystical”) experimentation. This method of development, under the direction of Joshua Free, has led to the highly effective growth of this paradigm around the world. NECRONOMICON : THE ANUNNAKI BIBLE reveals the “Ancient Mystery Tradition” as it first appears, when civilization is developing in Mesopotamia. This became the groundwork for later derived “Hermetic Traditions” and the “Underworld Mysteries” and legacy of “Books of the Dead,” not to mention the influences directly on Semitic lore and development of Judeo-Christian tradition, including the “Book of Genesis” and “Book of Enoch” and the entirety of the Kabbalah! “ALL THINGS OUGHT NOT TO BE DECLARED TO ALL MEN” reads the back of the latest public release from the Mardukite Truth Seeker Press, the tercentenary edition of John Toland’s PANTHEISTICON, enhanced and annotated by Joshua Free, known for his emphasis of the Welsh Bardic Druids motto: The Truth Against The World. Mixed and curious reactions were raised this month when modern Mardukite Director, Joshua Free, announced a progressive shift in the future operations of the organization toward “esoteric” development among a new “advanced” “Order” from within the Mardukite Research Organization, drawing from the “best” and “highest” axioms, aphorisms and philosophies actually underlying all of the “outer circle” materials published by Joshua Free (under various names) since the mid-1990’s. 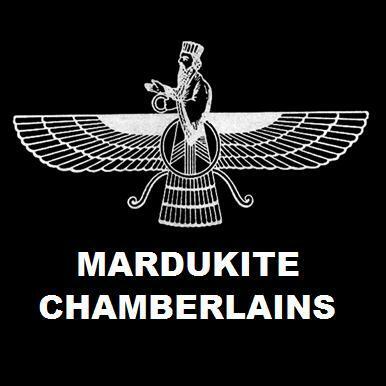 Established officially as an ‘underground parent organization’ in 2008, coinciding with the release of ARCANUM by Joshua Free, Mardukite Ministries governs worldwide operations of several divisions, including the “Mardukite Chamberlains” (Mardukite Research Organization) best known for the release of the NECRONOMICON ANUNNAKI LEGACY cycle of materials since 2009. Another division, the “NexGen Systemological Society,” launched in 2011 with its own “New Thought” materials such as REALITY ENGINEERING, in addition to overseeing both: the “Druid Archives” (publications including THE DRUID COMPLEAT cycle by Joshua Free and his forthcoming BOOK OF PHERYLLT Source-Book Anthology from Kima Books); and the “Moroii ad Vitam (Paramus)” (Mardukite Vampyre Academy) public launch in 2015, immortalized by Joshua Free’s VAMPYRE MAGICK anthology (including V: VAMPYRE’S BIBLE and CYBERNOMICON materials). …and so we are at the crossroads of exoterica and esoterica, as Joshua Free explained in recent discussions with the “Mardukite Alumni” and “Council of Nabu-Tutu” concerning the progressive evolution and unfolding of the highest ideals of the pursuit on the path, marked previously by a “public demonstration” of “prodigious research and demonstration” of external applications of Truth and its varied patinas in the Ancient Mystery School throughout the books available by Joshua Free from the “Mardukite Truth Seeker Press” – to which very few people have truly explored to find the depths intended, and it is hardly ever the message by which it is packaged on the surface. Just as we have “rebooted” the emphasis of early materials and Year-1 work again for newcomers during our 10TH ANNIVERSARY seasons, this clearly presents us with one more reason of need for an ‘inner’ “Secret Society” for those who genuinely over the past decade already used and explored the “Exoteric Mardukite Library” independently and are actually ready for something greater, meanwhile many people are still now only discovering their first steps and progressing or advancing their unfolding consciousness at their own pace. But… the time has come for some of us to charge ahead using the medium of an “Esoteric Mardukite Library” in supplemental exclusion. Unlike previous materials, these will be available ONLY via personal arrangement directly from the ‘Mardukite Offices’. Meanwhile, the exoteric map for others still remaining in our wake as some go forth toward the summit. All progress at their own rate. None are “left” behind. But likewise none can be thwarted on the upward progress of their own spiritual evolution and illumination. The Law of Balance will compensate – and the lips of wisdom will speak to ears of understanding! The Most Ancient Sacred Library… at your fingertips! Once Reserved for the Elite: Secrets of Cosmology-Science-Mysticism… Revealed! Contemporary understanding of ancient civilizations is botched — pure and simple. Where much is uncovered even today, consistently shifting our opinions and timelines stretching around the globe, it cannot be dismissed that in spite of the myriad of findings and symbols among scattered remains, it is the cuneiform tablet libraries of ancient Mesopotamia (what is now Iraq; formerly Sumer and Babylon) that truly give us the first true writing systems. And although we like to call them “books” today, no such objects existed at that time — instead, an entire tradition of preserving knowledge and scientific mysteries emerged in the form of clay tablets, written in a script-style known as cuneiform (and named for its ‘wedge-shaped’ marks). Prolific author and prodigious mystic and philosopher, JOSHUA FREE, has been actively involved in the underground and so-called “New Age” movement for nearly 25 YEARS, first known as “Merlyn Stone” in the mind-1990’s. His personal occult notebooks as a teenager, such as the “Draconomicon” and especially his “Sorcerer’s Handbook” (with more than 2000 copies in circulation before he was 18 years old), have influenced the development of modern practitioners and their traditions for two decades! Pivotal more-intermediate editions such as “Book of Elven-Faerie” and especially the release of “Arcanum: Great Magical Arcanum” literally launched the modern Mardukite movement more than 10 years ago! But where the subject of the Mardukite resurgence is concerned, the most inseparable of all works by Joshua Free is a literary collection known today as the NECRONOMICON ANUNNAKI BIBLE. “So, in the ancient Realm we peer into, we find not books, but clay tablets; no bibles, but specialized tablet collections — sometimes kept in wooden or gilded boxes, for the elite class of Mesopotamia were all literate. And “temples” of priest-scribes preserved the most ancient knowledge of cosmology, science and etheric spirituality on clay tablets in cuneiform scripts, some more than 5000 years old today. And these were no obscure symbolic primitive picture-glyphs, but explicitly detailed renderings — albeit quite mystifying to the common-folk of the general population who could not read, who could not decipher the mysteries themselves to the degree of that intellectual dimension. Maintaining an Order to the ancient commonwealth, ceremony, traditions and other culture emerged from this lore, but on a public exoteric level designed primarily for the masses with little direct access or discernment of the cuneiform tablets themselves. Such was, as it always has been, kept closely guarded under the highest or most secret echelons of the Realm, who maintained their own lineage of societies within, albeit also separate and apart from, the surface world. Such is what provides us with the substance to work through this work today under its present guise…[the Necronomicon Anunnaki Bible]” — explains Joshua Free, from a recent “Knowledge Lecture” at the Mardukite Babylon Ancient Astronomy Research Office. NECRONOMICON ANUNNAKI BIBLE edited by Joshua Free, is now celebrating its release of a 10th Anniversary Seventh Edition, the most complete, economical and accessible printing of the original ‘Mardukite Core’ anthology in a decade, just in time for a (NexGen) new generation of Truth Seekers. Of course, it is essential reading for any Mardukite, but even beyond this specific semantic paradigm, it is a must-read for anyone considering themselves a “Truth Seeker.” It is intriguing and refreshing to see this forgotten lore so painstakingly researched from a perspective that is both anthropological and historical, not to mention mystical and spiritually nourishing. The “Necronomicon Anunnaki Bible” edited by Joshua Free is quite simply a masterpiece of Mesopotamian magic, spirituality and history, providing a complete collection – a grand symphony of correlated materials – of the most ancient writings on the planet. The oldest of these Sumerian and Babylonian cuneiform tablet records reveal detailed accounts of cosmic history in the universe and on earth, the development of human history and descriptions of world order – all of which were used to maintain spiritual and physical control of humanity – providing to be the predecessor and foundation of global scripture-based religious and mystical traditions thereafter. These raw underground materials have shaped the existence of man’s beliefs and traditions for thousands of years; right from the heart of the Ancient Near East: Sumer, Babylon and even Egypt! Nearly a decade since the modern Mardukite inception – and thousands of copies in print – the NECRONOMICON ANUNNAKI BIBLE is a revolutionary “New Age” advancement in authentic historical, spiritual and mystical research drawn from a unique unparalleled combination of archaeological findings and esoteric mystical magical traditions. Sumerian, Babylonian, Akkadian, Assyrian, Chaldean, Egyptian, Yezidic, Zoroastrian… and more. COME JOIN US!!! AND CELEBRATE THE MARDUKITE 10TH ANNIVERSARY!!! RETURN TO THE SOURCE — to traditions and spirito-mystical systems of the Middle East, those born from ancient Sumerians and afterward extended to interpretation by Chaldeo-Babylonians, Akkadians, Assyrians and even Egyptians. The spread of this tradition across Europe led to even more fanciful and colorful realizations of the primary Olympian mythology first realized in ancient Mesopotamia! Discover the secrets for yourself in SUMERIAN RELIGION by Joshua Free — The most critically acclaimed and bestselling materials from the Mardukite Research Organization now available in one volume! A master compilation of mythological and religious exploration into the heart of ancient Mesopotamian Mysteries, this easy-to-read post-modern anthology illuminates the ancient world using revolutionary teachings and source materials in a way never before seen… for thousands of years! The nature, identity and relationship of ancient Mesopotamian Anunnaki “gods” – those of the Sumerians and Babylonians – is very important, not only for understanding the literally ‘Mardukite’ work, but also for possessing a greater ‘wideangle’ vision of life, reality and existence – not to mention understanding your own place and legacy within it. All of the original and later work of the ‘Mardukites’, all of these other authors and producers and their theories and explanations of things past, present and even future – they are all dependent on a clear and concise basis of understanding and comprehension of the very root element that it all surrounds – the very beings that made all of this history and human development possible. For without this key knowledge, and an objective one-to-one correlation of this knowledge with reality, all of the other research, reading and even the experience of life and reality will be undertaken ‘out of context’ of what is Truth. The meaning and innate desire to pursue truth, particularly what has been known as the Secret of the Ages, is no less obvious in the realm of science and academia then it is in the world of the occultist. Those who have been dubbed ‘occultists’ or ‘esotericists’ are not the only ones interested in SUMERIAN RELIGION, nor are they even the original ones. Only the methodologies and intentions differ. And yet again – all is connected. The recovery of the truth of mankind’s past is paramount to the fate of humanity’s future. Thus, it should could by no surprise that the geographic terrain of its origins has been the victim of unyielding war and suffering for thousands of years – further enshrouding those unveiling efforts with a measure of hesitation and doubt painted by political opinions of the modern Middle East, and for our purposes, what the academicians have called the Ancient Near East. Relative power within the modern world and human society is a ‘fleeting glamour’ and wholly representative; yet, if anything on the planet can be said to represent ineffable true worldly power by the ‘sword’ and ‘shield’ of truth, it is from those objects of ancient knowledge that come to us from this place. SUMERIAN RELIGION by Joshua Free : Arriving on the surface world from the underground – an amazing insight into the Anunnaki ‘alien gods’ and the establishment of human civilization famously accounted by the Sumerian and Babylonian traditions. Prolific writer, Joshua Free, presents this topic such as the modern world has never before had access to, developed from the revolutionary work conducted by the next generation of Seekers actively using a revival Anunnaki tradition in the present day. SUMERIAN RELIGION is not merely the presentation of dry academic renderings of obscure tablets; this book will take you on a progressive journey that is just as relevant and critical today as it was thousands of years ago! Uncover the mysteries that lay hidden in ancient Sumer, with a message so relevant today, it is no wonder it became the greatest kept secret of Babylon! “Above all of the possible magic words to be invoked, the Divine Names are held in the highest regard by priest-magicians and wizards – meaning, of course: “names” for God.“ Joshua Free explains in the new Fifth Anniversary Second Edition of Mardukite Liber-K: ENOCHIAN MAGIC & KABBALAH: SUMMONING ANGELS, ALIENS, UFOs & OTHER DIVINE ENCOUNTERS. Similar to the way in which ‘existence’ becomes more dense and fragmented as the varying lights and veils are perfected until we reach the manifested existence within human perceptual abilities, the Names of God became increasingly ‘mutated’ with time and the myriad of ‘language semantics’ that were later applied to this form of cryptomancy. Given the emphasis put on ‘words’ and ‘names’ in the Anunnaki tradition – as found evident on Sumerian and Babylonian cuneiform clay tablets – it is not surprising that we should see a mystical lore related to the same carried by the priests and magicians of the later derived system-traditions: the Kabbalah, Egypto-Greek Hermetics and of course native Chaldean and Zoroastrian movements – all of which based on a ‘personal’ relationship with Divinity by means of a ‘secret’ or ‘esoteric’ lore that enabled them to call upon and recognize these ‘forces’. Priests of the Anunnaki tradition acted as intermediaries between the human population and the beings perceived as “Divine” that often resided in their very cities, occasionally occupying the ‘ziggurat-temples‘ built on the highest mounds of each region. In the proto-Sumerian traditions, the priest-magicians were the only ones who were able to transmit any communication with the Anunnaki “Sky Gods” of their observed pantheon. This shifts during the post-Sumerian or Babylonian-Mardukite period, as a rise in local or ‘personal’ magic becomes present among the common folk. During this post-Sumerian period, many individual members of the Anunnaki group became patron ‘central’ deities to different areas, an act that furthered the fragmentation of knowledge. After the magical arts were given to the people, the Hermetic attempts began at ‘unlocking’ the esoteric secrets withheld by the original priests and caretakers of the traditions. Uncovering Divine Names was one of the more ‘paramount’ acts to making the newer systems function – a means of going around the intermediaries socially and politically installed to oversee the religion and spirituality of the people. It is here that we begin to see ‘magic’ as a part of ‘counter-culture’ existing outside of, and in many cases in opposition to, the Realm. Rather than being a state-religious affair celebrated openly in public view, the practice of magic began to turn ‘inward’ and was pushed further and further underground as the growing populations and varying personalities each had their influence on its character. Mystical use of the Kabbalah, such as we find with the Enochian system and other methods involved in the late 19th century ‘magical revival’ by members of the Hermetic Order of the Golden Dawn, is heavily dependent on the use of “Divine Names” or other “less-divine” (even “infernal”) names as words of power. Although derived from the same sources, this is generally typical only of post-Babylonian systems, at the Age of Aries (c.2100 BC). Starting around 2,000 years ago, they started being classified as exactly that: formulas. News & Updates concerning the August 2017 MARDUKITE NEXGENCON SOLAR ECLIPSE SUMMIT MEETING and the construction development of the remote MARDUKITE BABYLON ANCIENT ASTRONOMY RESEARCH CENTER set along the UFO Cosmic Highway in the San Luis Valley. Was ancient mysticism, esoteric wisdom and dramatic magical operations intended to be taken “literally” once committed to written records? Are they actually indicators of something else beneath the surface of the way they have been understood for centuries? …even millenniums? CYBERNOMICON in Hardcover and Paperback! The Ancient Mystery School from which all occult lodges are founded is Necromancy. Deep rooted magical organizations all demonstrate active participation with “The Other,” bridging a communication between what is Visible and Invisible. Inner Circles maintain Dead Names and Knowledge from the Past. These are the Teachings of the Ages, Secret Wisdom of the Past… and a recovery of what is Dead. Humans have been trying to crack the code on “Death” since the invention of religion. In Egypt, especially, the funerary process was central to the whole tradition-meaning the relationship (and promise) made between the “sky gods” and the people of Earth. Most of the oldest cuneiform writings in Mesopotamia are either an effort to preserve posthumous legacies of gods and kings, or investigations into the landscape of the Underworld and nature of the Abyss. Sacred knowledge from ancient civilizations, including their technology, is understood only by looking beyond the contemporary knowledge we are educated with. Society claims to prize “individuality” and “innovation” yet requires its citizens to fall in step to learn and repeat — copy and paste — the same methodology held by previous generations. Mystics and Magicians demonstrate an upper hand in life by manifesting their will and finding themselves in synchronistic circumstances that seem magical. Understanding energy fields, their interactions and its affect on perceived reality is what makes this possible. Ancient Mysteries, Babylonian Mythology, Books of the Dead, Biomagnetism, Chaos Magic, Controversial Knowledge, Darksider Diseases, Dragon Legacy, Egyptian Magic, Energy Work, Futurist CyberVamps, Hermetic Magic, Immortality, Kabbalah, Lycanthropic Shamanism, Magical Warfare, Metapsychology, Necronautics, Neuromancy, Ninth Gate, Psychic Vampyrism, Rosicrucianism, Sexual Magic, Sumerian Stargates, Talmudic Judaism, Tartaria Studies, Transhumanism, Vodou Zombies, White Tantra & More! Mystics and Magicians demonstrate an upper hand in life by manifesting their will and finding themselves in synchronistic circumstances that seem magical. Understanding energy fields, their interactions and its affect on perceived reality is what makes this possible. The word-name “Jupiter” comes from the Romans: Dys Pater (Latin), meaning “Father-God.” This energetic current commands outright worldly success as and the magic of spirits: command of the “spiritual” hierarchy of astral spirits. Anunnaki Elder Gods originally attributed this position to ENLIL in Sumer. I, NABU personally heralded my father, MARDUK, into Enlilship of the “younger pantheon” of Anunnaki observed in Babylon. Our “Mardukite” tradition there, and in Egypt, was wholly based on his centralized leadership. MARDUK is exalted as the Master of Magicians, carrying the mysteries of my grandfather, ENKI, to Babylon, and bestowing the traditions upon me to relay. The original designation of the Jupiter position in the pantheon is 50, the number attributed by Enlilite Sumerians to ENLIL and later to MARDUK for Babylonian Religion (who previously held the designation of 10). Invoke my father, MARDUK, for his strength and power, as well as to petition the Elder Gods. The color of the “Mardukite” current is purple, but also airy and fiery colors (yellow, orange, black). The name MARDUK is actually a modernization taken from the Semitic “meri-dug” [Merodach]. The oldest version of a similar spelling AMAR.UTU [a.mar-utu.ki = “light of the sun on earth”] often translated by contemporaries as “solar calf” or “son of the sun” : gives some background to Marduk’s esteem. Being the foremost son of ENKI, he gained power quickly. The Semitic name “Maerdechai” that came from the Chaldeo-Babylonian [silik-mul.u-khi] name meaning “Marduk is God.” The more common MAR.DUG means “son of the pure mound,” and is thought to be connected to the pyramids in not only Mesopotamia, but in Egypt, where he raised himself as the leader of a third party of gods – the Egyptian Pantheon – as “Amon-Ra” (again identifying himself with the “solar” current). And be sure to follow the Mardukite Blog!! A contemporary ‘tablet collection’ that paved the way for intensive research and experimentation. It reveals the inner-circle methods used by the ‘Order of Nabu’ to acquire direct communication with ‘alien intelligences’, reviving the same process the priests of the Anunnaki in Mesopotamia. The most critically acclaimed bestselling materials from the Mardukite Research Organization – now available from the underground – revealing amazing insights into the Anunnaki, credited with kickstarting humanity according to Sumerian & Babylonian writings. The journey continues into the heart of Mesopotamian Mysteries — just as relevant and critical today as thousands of years ago! Now you can uncover the mysteries lay hidden in ancient Sumer and the greatest kept secrets of Babylon!